Especially for Land Rig applications JDN will introduce the Profi 16 TI in motorized trolley as a tandem operation system with land application specific solutions, chain buckets etc. 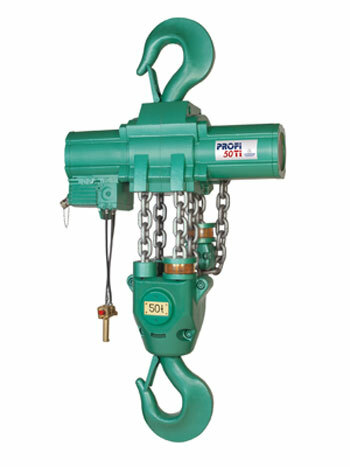 Lifting equipment available for cryogenic operation down to -20°C will also be shown, ideal for cold store operation. These products can be either air or hydraulically operated. 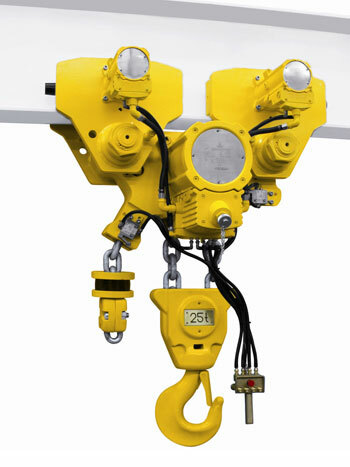 For operation at temperatures from -20° to -45°C, hydraulic hoists can be supplied fitted with a pre-heating device for the drives, with cryogenic hydraulic oil used for the control, traverse and lifting operations. An adapted EH 20 hydraulic monorail hoist has also been successfully tested for operation at these extreme arctic conditions.